The Alightener Foam is a perfect way to whiten your teeth with either an invisalign retainer or any other type of mouth tray. 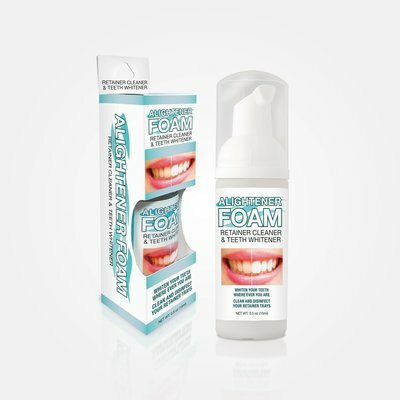 The foam contains a light peroxide formula which gradually whitens teeth with little to no sensitivity. Simply apply one pump to each tray and wear while you are working, study, reading etc... and enjoy a whiter smile as a result. *** We include a set of boil-and-bite teeth whitening trays with all orders of Alightener Foam so people without invasalign aligner retainers can also whiten their teeth. Check out the first video below to see how to form the trays!